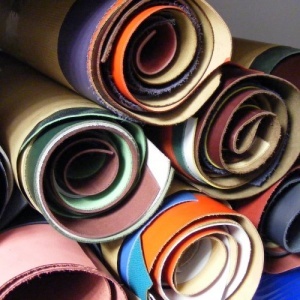 This 2 kilo roll of coloured leather and suede panels is fantastic value for money! Most of the pieces in these rolls are around 40cm (16") across in each direction, and no piece is smaller than 30cm (1ft) across. These leathers are all between 0.6 and 2mm in thickness. 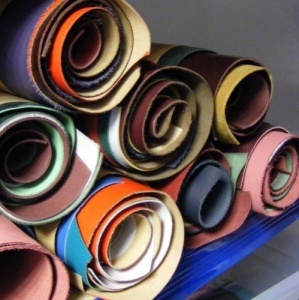 Every roll is different, but our current stock contains a mix of the following colours: Blues, Greys, Maroon, Olive Green, Grey, Cream and Beige. 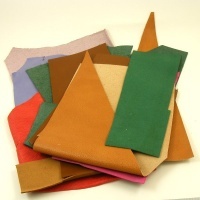 These packs contain around 15 square feet of leather!